To promote the on-air return of The Powerpuff Girls, Soho-based agency Mc&T flew the characters into the skies of Dubai. 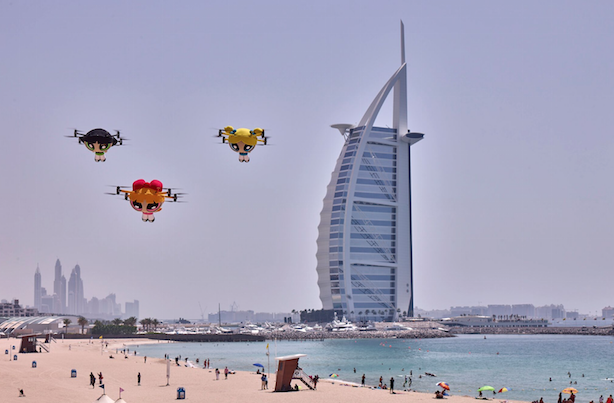 Using drone technology, Blossom, Bubbles and Buttercup sailed through the skies of Dubai, with a backdrop of the Burj Al Arab, the Persian Gulf and the world’s tallest building, the Burj Khalifa. According to Mc&T director Paul McEntee, this is the first time anyone has used drones to fly cartoon characters in formation across an iconic skyline. Mc&T is making a name for itself when it comes to using drones, and the agency is planning another big stunt this summer.